Did you start the new year with initiatives and goals that aren’t working out just one month later? 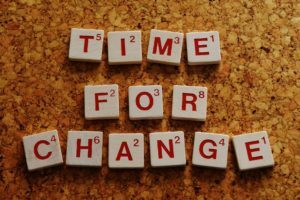 There’s a good chance that the concept of change was the stumbling block that led to your workplace’s sluggish start. And though you may have been excited about new initiatives, you weren’t quite sure how to alter your individual work priorities to meet these goals. Both of these scenarios present examples in which expert change management could have made a tremendous difference in how everyone responded to your company’s new benchmarks. On paper, everything may have looked perfect. But paper often strays far from reality; goals usually require much more finesse and attention than we think they do. And think about this – even workplace design changes can create some difficulty. Something as simple as a transition from an open office to cubicles may be the impetus behind a wave of disorientation or discouragement. Properly managing that change requires a lot more than a good idea and an action plan. Multiple factors are involved: communication, employee panels, accounting and more. Orchestrating all these various moving parts is what separates good change management from bad. To get some insight into how you can build an effective change strategy, we read through some material from industry experts Work Design and Robert Half. If there’s one thing that organizations across the country have learned at one time or another, it’s that there’s always a naysayer who loves to spend his time badmouthing the company’s new direction. “What stumps us is when the same folks who complain about noise lament both its presence and its absence. ‘When people talk, it’s too loud! When people work, it’s too quiet! The sound masking is too loud AND it doesn’t mask my colleague yelling about his gout,’” they wrote. Trying to fashion a change plan that caters to every individual’s needs will most likely be a watered-down initiative with too many details and nuances. By all means, take your team’s input and insight into account when you’re conducting panels on proposed changes. But, don’t make the error of turning a solid goal or change into an appeasement tool. If you take the last suggestion to the extreme, you’ll leave out most employee input and lose sight of what’s needed in the workplace. While it may seem like holding panels and asking for input could bog down the process, the information you glean will prove invaluable, staffing firm Robert Half says. This process is even more crucial when the changes you’re making are negative ones like layoffs. While we know that involving employees isn’t a cure-all, it does give you a significant advantage as you seek to implement change. “Involve employees as soon as goals are set. Ask their opinions and get their input on how the business runs today and what they believe should be changed,” Robert Half wrote. One suggestion for providing employees a voice is to set up an anonymous online platform through which they can voice their concerns and support. Robert Half noted that consulting from McKinsey & Company used a confidential online portal to create needed in-house changes.